Trinseo (NYSE: TSE), a global materials solutions provider and manufacturer of plastics, latex binders and synthetic rubber, today announced its first Investor Day. The forum will be held at the St. Regis Hotel in New York City on Friday, November 11, at 8 A.M. EST. Members of Trinseo’s senior management team, including Chris Pappas, President and CEO; Barry Niziolek, EVP and CFO; Martin Pugh, EVP and COO; Hayati Yarkadas, SVP & Business President for Performance Materials; and Tim Stedman, SVP and Business President for Basic Plastics & Feedstocks will share the latest news from the company, provide an update on corporate growth strategy, and answer questions from attendees. Trinseo will discuss its continued transformation in three broad arenas – the sustainability of Basic Plastics & Feedstocks profitability, the growth of Performance Materials and the use of cash flow for investment and shareholder returns. The company will provide its perspective and detail on the future operating rate of styrene and polystyrene and the factors that influence those operating rates as well as detail on the growth potential for the Performance Materials division. Investor day attendees will be able to interact with a variety of products, intrinsic to our daily lives that rely upon Trinseo’s material solutions, at an onsite showcase display. Trinseo’s business directors and Research & Development (R&D) directors will also be on hand at the showcase to share insight into how Trinseo partners with its clients to drive innovation and create best-in-breed product solutions. 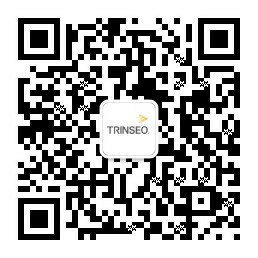 Additional details about Trinseo’s Investor Day and the event registration form can be found on the company’s investor relations website. The Company will furnish copies of the Investor Day presentation slides on its investor relations website and by means of a Form 8-K filing with the U.S. Securities and Exchange Commission. A video webcast link of the event will also be available. Trinseo (NYSE: TSE) is a global materials solutions provider and manufacturer of plastics, latex binders, and synthetic rubber. We are focused on delivering innovative and sustainable solution to help our customers create products that touch lives every day - products that are intrinsic to how we live our lives - across a wide range of end-markets, including automotive, consumer electronics, appliances, medical devices, lighting, electrical, carpet, paper and board, building and construction, and tires. Trinseo had approximately $4.0 billion in revenue in 2015, with 15 manufacturing sites around the world, and more than 2,200 employees.